The Ramada Des Moines West/Clive is located off I-80 at the University Avenue Exit. 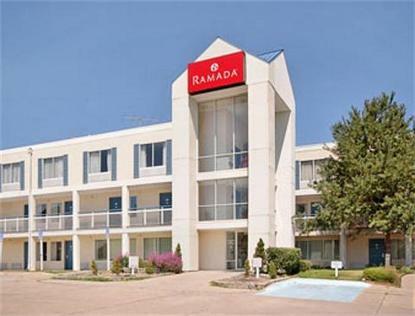 The Ramada is ideally located in a West suburb of Des Moines and convenient to all area attractions. Attractions within 5 miles of the Ramada include Blank Park Zoo, Capitol Gateway Ice Pavilion, Living History Farms, Valley West Mall, Jordan Creek Mall, Des Moines Art Center, Science Center of Des Moines, Hoyt Sherman Theatre, Drake University, Downtown Des Moines, Wells Fargo Sports Arena, Civic Center of Greater Des Moines, Vets Memorial Auditorium, and State Capital. The Ramada Des Moines West/Clive offers all guests Free Wireless High Speed Internet, Complimentary Deluxe Continental Breakfast featuring Belgium Cook-to-Order Waffles, Heated Outdoor Pool and Sun Deck, Business Center with Computer and Printer, Elevator, and Free Parking.